You may have heard the term ‘raked seating’ or a ‘raked stage’ if you are a regular visitor to the theatre or spend a lot of time in lecture halls. Even if you have never heard the phrases, you’ll have almost certainly sat in raked seating before, as it is commonplace in most venues. ‘Raked seating’(sometimes called retractable seating, telescopic or bleacher seating) is simply when the seating is on an upwards slope away from the stage, in order to give those at the back a better view than if the seats were all of the same levels. A ‘raked stage’ however, is the opposite, with a stage designed to slope up at the back to allow actors occupying the space at the rear of the stage to be seen with equal clarity as those at the front. Raked stages were very popular in the Middle Ages and early modern era, but have since been eclipsed by the raked seating approach instead. What Are The Advantages of Raked Seating? Here at Auditoria, we are always looking to provide spectators with the best possible viewing experience, no matter which performance they are watching. This is why our Retractable Seating, and a large majority of our Theatre Seating, is raked. 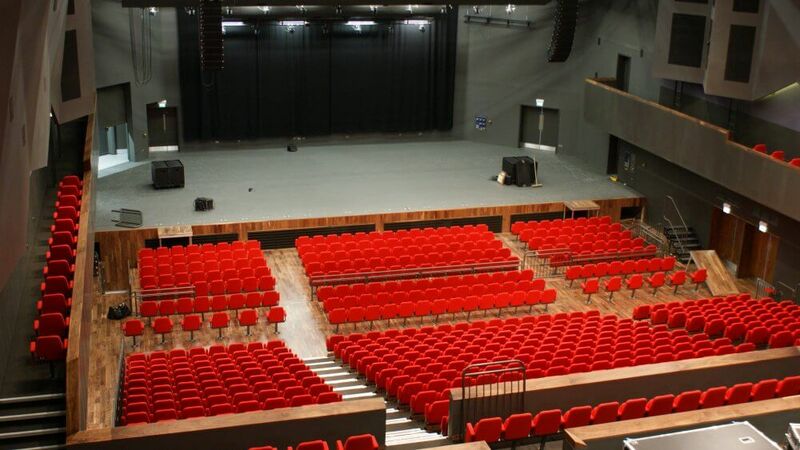 If you’re looking for Raked Seating as an option for your venue, why not get in touch with the friendly staff here at Auditoria. Contact us directly through the form on this page or call a member of our technical department to discuss your Auditorium and they type of seating you need. In 2016 the Auditoria team undertook a large scare project to install new raked seating at the Guildford Civic Theatre as part of a £21.5 million regeneration of the concert hall. 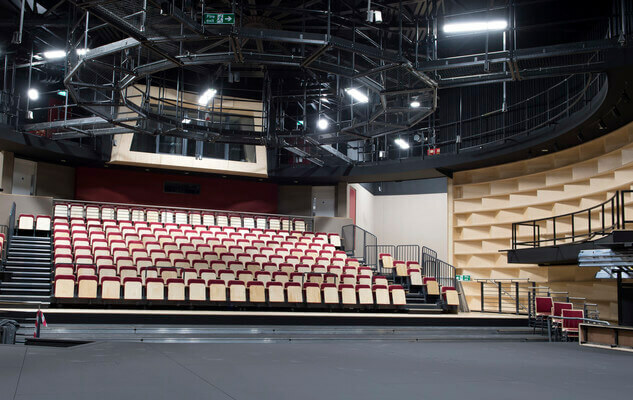 With the scale of this project, two seating types were used to accommodate the needs of the theatre. 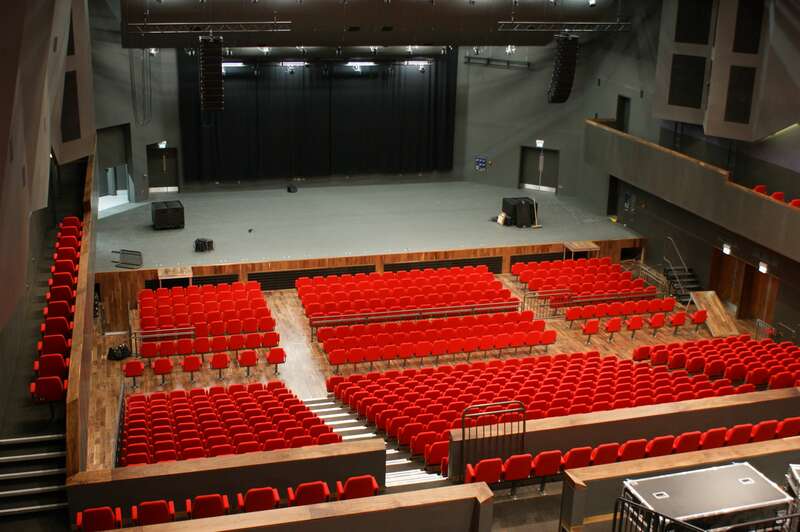 In the lower section of the hall, we installed 352 RS6 retractable seating units in a raked seating format, with the tiering moving away from the stage to give an optimal view for all in the lower tier. 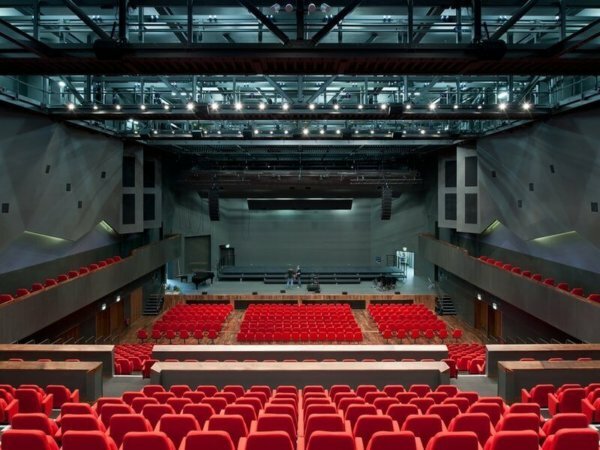 In addition to these, 679 TS6 Premium Theatre Chairs were installed throughout the auditorium. The upper tier of the theatre behind the retractable units accounts for the majority of these units, also being added in a raked fashion continuing the appearance of the lower tier away from the stage.